Last week I posted part one of my review of Brice Jones, Matthean and Lukan Special Material in Matthean and Lukan Special Material, Part 1. I focused there mainly on Jones's selection of M and L passages, which is derived from Mark Allan Powell's partial list in the Fortress Introduction. In the second part of this review, I will look at Jones's essay, "Literary Relationships Among the Gospels", which he uses to explain the role played by M and L in discussions of the Synoptic Problem. Jones's essay forms Chapter 1 of the book (1-17) and is subtitled "A Brief Introduction to the Synoptic Problem and Matthew and Luke's Special Source Material". He defines the Synoptic Problem and provides a little history (2-3), introducing the Griesbach Hypothesis (4) and explaining the Two-Source Theory (5), briefly offering arguments for it (6) before answering objections (7-8). Jones then introduces M and L, the main topics of the book, looking at how they functioned in Streeter's work (8-10) and in scholarship today with special reference to Stephenson Brooks and Kim Paffenroth (10-13). The remainder of the chapter (13-17) explains the presentation and selection of data in the rest of the book. Jones's essay typifies an approach to Synoptic Problem introduction that I have often criticized, working on the basis of the Two-Source Theory and refracting the Synoptic data through that theory. Thus there is no encouragement for the new student to attempt to understand the data first, to study the Synopsis without prejudice to a particular way of describing the evidence. The dominance of the Two-Source Theory is expressed in other ways in the chapter. The Griesbach Hypothesis and the Two-Source Theory each have their own diagrams (4-5) but the Farrer Theory does not. This is also important for new students, where visualizing a theory can greatly help in properly understanding it. And while I am grateful to Jones for his brief reference to my work (7), I am a little disappointed to see no reference to my main book on the topic which is called The Case Against Q.
Jones lists Streeter's five points in favour of Marcan Priority (6), most of which are simple descriptions of how Matthew and Luke proceeded if they used Mark and several of which are reversible. I think there are better arguments for Marcan Priority than those offered by Streeter and, on the whole, those supporting the "Two Gospel Theory" have had little trouble demonstrating this. References to more recent literature by Two Gospel advocates might have helped here, especially Beyond the Q Impasse and One Gospel from Two. Somewhat surprisingly, Jones does not offer any arguments in favour of the Q hypothesis and appears to regard it as established on the basis of Streeter's arguments for Marcan Priority. He does, however, discuss three arguments against the Two-Source Theory (7-8), the Mark-Q overlaps, the minor agreements and the hypothetical nature of Q. I will deal with each in turn. Most advocates of the Two-Source hypothesis, however, do not think that the Mark-Q overlaps pose any real threat, since two independent yet similar traditions are bound to have existed prior to the composition of the Gospels as we know them (7). Jones is right that advocates of the Farrer theory draw attention to the Mark-Q overlaps, but they do not do so because they think it surprising that "independent yet similar traditions" existed. This would be a weak argument, and it is not one that I have seen. The difficulty with Mark-Q overlaps is not a general one about the plausibility or otherwise of overlapping materials. Rather, it is specific: this data set contradicts the claim that Matthew and Luke never agree against Mark in major ways, and it contradicts the claim that Luke never takes over Matthew's redaction of Mark. These are used as arguments for the existence of Q, arguments that are contradicted by this data set. (2) Minor Agreements. Jones refers to "the few cases where Matthew and Luke agree on wording with each other against Mark" (7), drawing attention specially to the minor agreement at Mark 14.65, and asking "How is this to be explained if Matthew and Luke did not know each other and the story is not found in Q?" (7). 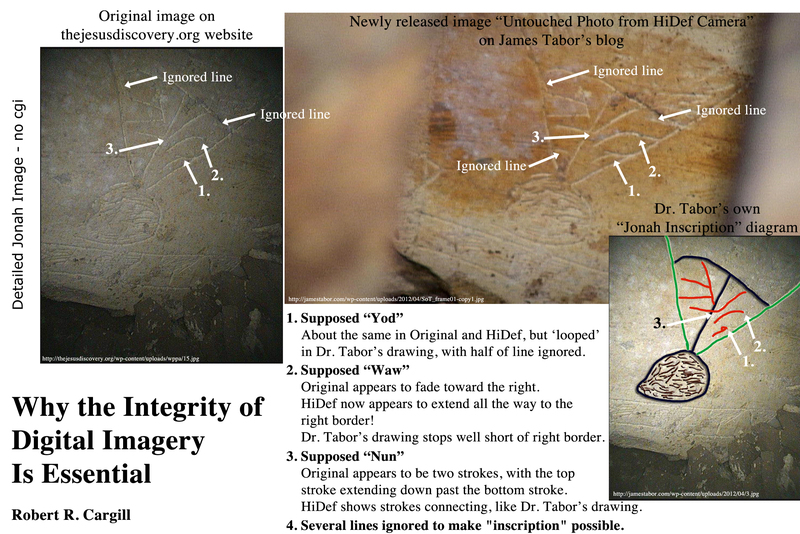 Jones suggests that they could have been caused by shared oral tradition, or by corruption of the texts or by harmonization (though he does not explain how the last two differ). The difficulty with the oral tradition theory is that several of the key minor agreements, including the one at Mark 14.65, feature verbatim agreement in Greek including the use of hapaxes in the Gospel in question. The difficulty with the text-critical explanation is that it cuts both ways -- harmonization is as likely if not more likely to have diminished the number of minor agreements than to have increased them. Another difficulty is that the theory requires a hypothetical document, which is not physically attested outside of the Gospels. This position is especially popular among advocates of solutions to the Synoptic Problem that posit Matthean and Lukan dependence. There are difficulties in sustaining this argument, however, and most scholars tend to believe that the Two-Source Hypothesis makes the most sense of the data. (8). Jones here characterizes the position he is arguing against in such general terms that it is difficult to know what he is referring to. It is true that Q sceptics will often have contexts in which noting Q's hypothetical nature will be relevant. I have, for example, often noted the flexibility that its hypothetical nature allows for the redaction critic. Similarly, I have drawn attention to problem of scholarly works that fail to mention its hypothetical nature, and so on. That Q is hypothetical is a fact. It is not an "argument" or a "position". The question is whether positing a hypothetical text is the best way of explaining the double tradition in Matthew and Luke and the best way of establishing this is to look carefully at the evidence. Over on the ITSEE site, the good news that a Transcription of Codex Sinaiticus is now available for download. 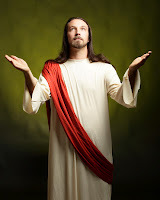 I commented last Friday (Earthquake Research and the Day of Jesus' Crucifixion) on a Discover News Article Quake Reveals Day of Jesus' Crucifixion. I was somewhat sceptical about the article's claim that earthquake research had helped to pinpoint the day of the crucifixion, not least because the article appeared to suggest a ten year window for the earthquake in question (26-36 CE) but also because of all the passages in Matthew's Gospel, this is one that causes the historian to raise an eyebrow. I was grateful to hear subsequently from the primary author of the article that had given rise to the Discovery News report, Jefferson Williams. And over the last few days, it has been a pleasure to exchange emails and to get a feeling for his research. Our new dean at Duke is often telling us about the importance of interdisciplinary work, and perhaps this is one of those occasions when the arts and sciences come together in a surprising way! After having corresponded with Dr Williams, I find myself reassured that his approach does not fall into the "Science proves religion" camp. It is clearly not an attempt to engage in careful scientific research with a view to the alleged corroboration of details found in the Bible. Indeed, it is clear that his approach is open and exploratory, and is essentially asking questions about possible correlations between the broad dates suggested by his research alongside textual data that may or may not witness to the same events. I had wondered about the strange coincidence between the decade of Pontius Pilate's governorship (26-36 CE) and the date range for this earthquake, also roughly 26-36. However, it seems that this was accurately reported in the Discovery News article. (3) the earthquake described in the Gospel of Matthew is allegorical fiction and the 26–36 AD seismite was caused by an earthquake that is not reported in the currently extant historical record. (8). In other words, the article is not an attempt to find scientific corroboration for the events that are described with such apocalyptic flourish in Matthew 27. Nevertheless, if Biblical scholars like us are right about Marcan Priority and right to be sceptical about the historical value of Matthew's redactional embellishments here, it is at least a delightful detail that there was indeed an earthquake in the region in roughly the right time period. It is intriguing to think that Matthew may have been redacting Mark with some kind of knowledge of an earthquake in the period. Perhaps that was what stimulated the imagination of the evangelist, or his tradition, as they retold the Marcan story. I must admit that I do find that an attractive hypothesis. However, the reluctant sceptic in me suspects that Matthew was able to add an earthquake in 27.51 without that precedent. The fact that he introduces another in 28.2, at the resurrection, inclines one to think that this is simply the way that Matthew writes. Williams et al suggest that this earthquake, in Matt. 28.2, could be understood as "an aftershock event" (7). However, Matthew also uses the same term, σεισμός (seismos), in his retelling of the Stilling of the Storm (Matt. 8.24), so it may be that the terminology is simply characteristic of Matthew's dramatic style of narrative. 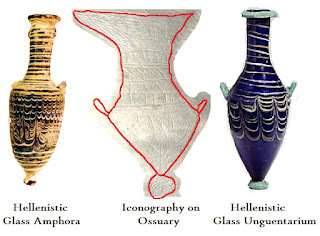 The difficulty in analyzing ancient texts for data relevant to scientific analysis is that there can be a certain etymological excitement in seeing a term like seismos that is so recognizable to us because of its relationship to our terms like seismic which are derived from it. However, we have to use a little caution given that it is not a simple case of one-to-one mapping from our "earthquake" to their seismos, just as our "leprosy" does not correlate perfectly to their λεπρός (lepros), and the related words. In cases like this, a lot depends on context. Williams et al (3-4) also work with Josephus's report of an earthquake in 31 BCE, which features details of destruction that make it sound major. Indeed this event is their "'anchor' earthquake", helpful because Josephus dates it to the "seventh year" of Herod's reign (Jewish War 1.370). Some caution may be necessary in relation to the precise dating at 31, e.g. Daniel Schwartz, in comparing the account in War its parallel in Antiquities 15.121, dates it in the Spring of 30 BCE. See further comments by David Meadows in Rogue Classicism and Thomas Verenna. 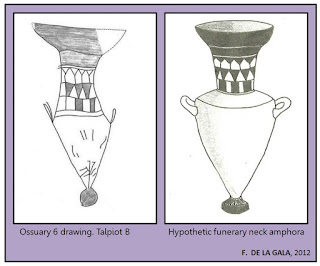 On May 17, I blogged a detailed response to an article by Prof. James Charlesworth of Princeton Theological Seminary entitled "What is the Message of the 'Patio Tomb' in Talpiot, Jerusalem? ", which appeared on the Foundation on Judaism and Christian Origins website. Several days ago (at least by 26 May, possibly before), the article disappeared from the web. I have made some inquiries and I have been told that the article was uploaded by mistake and that it was in fact only a "draft". There are plans to upload a revised version of the article "as soon as completed". The solution that Mike is flirting with is one that attempts to retain what he sees as some of the advantages of the Two-Source Theory, Matthew's and Luke's knowledge of Mark and Q, while at the same time embracing what he sees as some of the advantages of the alternative theory that Luke knows Matthew as well as Mark. On a basic level, the difficulty with this hypothesis is that it concedes defeat on the key premise for the postulation of Q. Normally speaking, the existence of Q is predicated on the basis of arguments that Luke could not have known Matthew's Gospel. If Luke knows Matthew, then there is no need to explain the double tradition material on the grounds that they both independently accessed a hypothetical document. While commenting on Mike's post, I realized that my comment was taking on the proportions of a blog post of its own, so I am moving a revised version of that comment here. I rather suspect that when and if a new view of the Synoptic problem becomes accepted, it will be more flexible and complicated than the tidy two-document hypothesis. With all due respect for scientific preference for the simpler view, the evidence seems to require a more complicated one. It is perhaps worth bearing in mind, though, how Sanders's own view changed over the subsequent twenty years. In Studying the Synoptic Gospels, co-authored with Margaret Davies in 1989, he accepts Goulder's hypothesis that Luke knew Matthew as well as Mark, with the important modification that he does think Luke has other sources too, a modification with which I agree and for which I have argued too. There is a general issue here too that the discussion of "simple" against "complex" can mask. Scholars of yesteryear were often reticent to think seriously about issues of memory and oral tradition in the way that they configured the problem. Gundry's half-way house between Farrer and the 2ST is symptomatic of this -- he is thinking in purely literary terms as a means of configuring his solution. One of the potential difficulties with the Q hypothesis, and something endemic to the discussion of “alternating primitivity”, is the routine confusion between literary priority and the relative age of traditions. 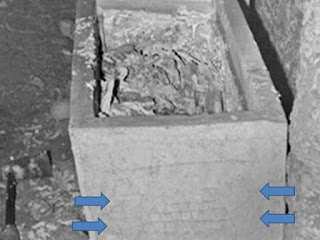 For a long time scholars have accepted that Matthew and Luke might witness to different, sometimes more primitive versions of material they share with Mark. It is an obvious extension of this principle to see Luke sometimes witnessing to more primitive versions of material he nevertheless shares with Matthew. The reduction of the variety and richness of oral tradition to the level of the reconstruction of the precise wording of an hypothetical document is one of the more unfortunate consequences of the Q theory, in which consideration of the double tradition is inevitably forced into purely literary terms. The recognition that Luke was literarily dependent on Matthew (as well as Mark) challenges the exegete to take seriously those places where he apparently witnesses to a different, perhaps more primitive tradition, leading to a reassessment of – and perhaps ultimately a more nuanced role for – oral tradition in Synoptic relationships (Case Against Q, 188). The main difficulty, though, with the Holtzmann-Simons-Gundry approach is that once Luke's knowledge of Matthew is (rightly) conceded, there is no need for Q. 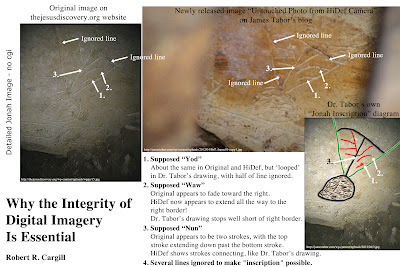 The high verbatim agreement between Matthew and Luke means that we are not dealing with later, secondary overlay, but direct copying by Luke of Matthew -- Q actually causes problems for making sense of that high verbatim agreement. The issue of order is similar. Gundry appeals to Q in order to explain Luke's order. This approach works with the notion that an evangelist's order was largely dictated by source constraints, the kind of perspective that made sense in the 19th and early 20th centuries, but makes less sense now. Further, as I have often pointed out before, postulating a Q to explain Luke's order only throws the problem back to Matthew's order. The different ordering of the double tradition is a fact; at least one person, Matthew or Luke or both, has done some rearranging. Mike's specific concern, though, is that Luke's use of Matthew "leaves us wondering why he broke up Matthew’s speeches quite so abruptly and artlessly". This remark takes us back to the value judgements that I and others have criticized in the past. I suppose that I have a higher opinion of Luke's art than Mike who is here in the tradition of Streeter, Kümmel and others, but I would repeat that (a) Luke does the same with Mark's speeches; (b) the value judgement is not shared by contemporary artists; (c) narrative-critical reflection on the alleged artless episodes provides further pause. There is no point repeating all of these arguments here, though I would encourage at least some reflection on the issues raised in any assessment of Luke's alleged abrupt and artless rearrangement. Mike rightly points out that Luke's knowledge of Matthew helps to explain the minor agreements between Matthew and Luke against Mark, but he adds that the "three source" approach may also help to explain the Mark-Q overlaps. I am not so sure. If anything, it tends to confuse the issue. The problem with the so-called Mark-Q overlap material is that it contradicts the assertion that Luke and Matthew never agree in major ways against Mark, something that is used to argue for the independence of Matthew and Luke, and so Q. But since Matthew and Luke do indeed agree in major ways against Mark, one of the key reasons for postulating Q is removed. Having Luke working with Q and Matthew here has no explanatory advantage. To illustrate the point rather than leaving it at the abstract level, Mark has "He will baptize you with the Holy Spirit" (Mark 1.8). Matthew and Luke have "He will baptize you with the Holy Spirit and fire. His winnowing fork is in his hand . . ." (Matt. 3.11-12, Luke 3.16-17). We gain nothing by suggesting that Q is finishing Mark's sentences here if one already has a theory in which Matthew is redacting Mark. No, Matthew is the one finishing Mark's sentences and he is copied by Luke. Thanks again to Mike for his stimulating post. It's been debated for years, but researchers say they now have a definitive date of the crucifixion. Matt. 27.51: And behold, the veil of the temple was torn into two, from top to bottom. And the earth shook and the rocks split open. Now I should say at this point I have not been able to consult Williams's work directly, but from this report, it becomes apparent that the research pinpoints the crucifixion to the decade between 26 and 36. Given that the traditions locate Jesus' death during the time when Pontius Pilate was prefect, and given that Pilate was prefect from 26-36, this is not big news. In fact, the precise correlation between Pilate's governorship and the window for the earthquake seems so striking that I wonder whether there is some confusion over the reporting. Nevertheless, the article goes on to pinpoint the date of Jesus' crucifixion using other means, primarily the work of Colin Humphreys and Graeme Waddington, which dates back to 1985 (see The Date of the Crucfixion). At least on the basis of the reports in the article, then, the earthquake research is only able to locate the crucifixion within the ten year period 26-36, but the older Humphreys and Waddington article is required for more precision. The "all four gospels" is the kind of thing that might sound impressive to someone not acquainted with scholarship on the Gospels because it gives the impression of multiple independent attestation. However, it is consensus in New Testament scholarship that Matthew and Luke knew Mark and were dependent upon Mark for their crucifixion narratives, so this is not independent attestation. Views differ a little on John, but many (like me) think that John knew the Synoptics too. The first three bulletpoints are taken over from the article by Humphreys and Waddington, which also uses the rhetoric of "all four gospels". The latter two bullet points contain errors. The Synoptics appear to place the death of Jesus on the day of Passover, 15 Nisan, and not on 14th. They depict Jesus engaging in the Passover meal at sunset, when the day begins, and being crucified that same day. John does indeed differ from the Synoptics, but not in the way claimed here. John depicts Jesus' death as occurring not on the day of Passover (15th), but on the day before (14th). So either Williams is confused or the journalist is confused or both. Typically, the same errors are taken over without any checking in other versions of the report, e.g. the Daily Mail. However, the real problem with this kind of work is that it fails to take seriously the nature of the texts that are being studied. What Matthew appears to be doing here is to rewrite his Marcan source in typical Matthean fashion. Of all the evangelists, Matthew is the one who likes to add earthquakes to his accounts. There is one again at the resurrection (Matt. 28.2). Indeed, one should probably be wary of using the term technical term "earthquake" to describe all of these -- it is the evangelist's way of saying that the earth was shaking and something dramatic was happening. He describes the big storm (Matt. 8.23-27) as a great earthquake (seismos) on the sea. To take Matthew's "earthquake" as a geological report is to misread his account. The story he is presenting here is one of those that very few New Testament scholars would take seriously as history. It's even read with caution by the most conservative scholars, and for good reason. The Discovery report ends its quotation of Matt. 27.51-2 with the tombs opening, but if it had continued its quotation, the reader would have seen how Matthew goes on to recount what some people call the Zombie Pericope, when bodies come out of the tombs, walk around and meet people. This is not history but legend. It's actually cheaper ($10.18) to buy direct from Wipf and Stock than from Amazon although the latter gives a decent preview of the book. See already the notice and comments on Mike Bird's blog. The idea of Jones's book is to gather together under one cover the passages that appear in Matthew alone and Luke alone, the "Matthean and Lukan Special Material". Each passage is written out in full, first in Greek (NA27) and then in English translation (NRSV) and the short volume is prefaced with an introductory essay on the Synoptic Problem. I will comment on the book in two posts. In this first post, I will comment on the presentation of Special Matthew and Special Luke. In the second post, I will comment on Jones's introductory essay on the Synoptic Problem. The presentation of Special Matthew and Special Luke may provide a useful introductory sketch of the contours of some of this material for undergraduate students and the interested beginner. The presentation is clear and uncluttered. For advanced students and scholars, however, the book's usefulness will be limited. The passages are presented without text-critical apparatus, marginal notes, Biblical citations or commentary, and there are several issues related to the selection of passages. Jones's selection of passages (14, n. 31) is dependent on Mark Allan Powell, Fortress Introduction to the Gospels (Minneapolis: Fortress, 1998), 62 and 86. His Special Matthew is practically identical to Powell's list list (adding only Matt. 5.39a) and his Special Luke is identical to Powell's list. The problem is that Powell is offering in each case what he calls a "Partial List". They are not comprehensive lists of the contents of Special Matthew or Special Luke. Jones's presentation therefore retains all of the anomalies of Powell's partial lists. The opening of Luke (Luke 1.1-4) is included , but the opening of Matthew (Matt. 1.1) is not. The Lord's Prayer is included in Special Matthew (Matt. 6.9-13) but excluded from Special Luke (Luke 11.2-4). Matthew's Birth Narrative ends two verses early (Matt. 2.21). Luke's Birth Narrative excludes the first note about Jesus' growth (Luke 2.40) but includes the second (Luke 2.52). Jesus' words to the repentant thief are included in L (23.43) but the rest of the conversation (23.39-42) is not. The difficulty with relying on Powell's lists is that they are not comprehensive. They are introductory, illustrative handlists for the newcomer. Powell's lists exclude some famous pieces of Special Matthew, like John the Baptist's reluctance (Matt. 3.14-15) and Pilate's Wife's Dream (Matt. 27.19), but it excludes still more from Special Luke, the dating of John the Baptist's Mission (Luke 3.1-2), Luke's Woes (Luke 6.24-26), True Blessedness (11.27-29), Casting Fire (12.49-50), Herod's threat (13.31-3), Tax-collectors and sinners (15.1-2), Servant of all Work (17.7-10), Kingdom within you (17.20-1), and Peter at the tomb (24.12). All of this material is absent from Jones's presentation. Moreover, because Powell's partial list of Special Matthew throws the net more widely than his partial list of Special Luke, there is an imbalance in Jones's presentation of each set. The presentation of M is relatively maximizing when compared to the presentation of L. I am not sure why Powell's partial list of L material incorporates a little less than Powell's partial list of M but it may be that Powell had to exclude more of L in order to squeeze it into one page in the book (86). Whatever the reason, though, the holes should be filled in when one moves from a list to a book. To be fair to Jones, it is not straightforward to decide what material to include and what to exclude, and if he had made his own lists, no doubt they would have raised their own questions. But that itself draws attention to the difficulty of simply presenting partial data without any commentary or notes. The reader can never be sure why one piece is included and another is excluded. The difficulty with delineating Special Matthew and Special Luke is that one person's Sondergut is another person's Matthean or Lucan redaction. So Jones, following Powell, includes Luke's version of the Rejection at Nazareth (Luke 4.16-30, cf. Mark 6.1-6), the Call of the Disciples (Luke 5.1-11, cf. Mark 1.16-20) and the Anointing (Luke 7.36-50, cf. Mark 14.3-9) which others would regard as triple tradition. Similarly, variant double tradition passages often find their way into M (e.g. Matt. 18.21-22, cf. Luke 17.4) but not L.
One of the lessons here is that mastering the Synoptic data is indeed a key element in understanding the Synoptic Problem. While the introductory sketches are of course always welcome, in the end there is no substitute for detailed work with synopses and texts, with exploration of the nuances and details that make the problem so interesting. All of these were, I believe, announced in an RBL newsletter; if any were omitted, it was a mistake, not a matter of policy. I should also note that RBL blog comments are carefully moderated: commenters must identify themselves either in the comment heading or within the comment (no truly anonymous comments), and we will not publish ad hominem attacks. In short, we hold commenters to the same standards as we expect of our reviewers (see http://www.sbl-site.org/assets/pdfs/ReviewerInstructions.pdf), in order to promote meaningful and productive dialogue. Thanks again for your blog posts today. I do hope that more authors and readers will avail themselves of the opportunity to comment on the many reviews that we publish. Since posting it yesterday, I have done a major revision of my post James Charlesworth on Talpiot Tomb B including comments from Richard Bauckham and critical reflections on James Tabor's response to Charlesworth. Ever had a book review that you would like to issue a rejoinder to? It's almost always been the policy of journals not to allow a right of reply to authors who feel that they have been hard-done-by in a book review. But now the SBL Review of Biblical Literature is allowing authors their right to reply in its blog. The blog format enables authors to add their thoughts on their reviewers in the "comments" and the regular RBL newsletter has begun to draw attention to these. It will be interesting to see how this develops. I can imagine someone offering a right humdinger of a response if they feel they have been treated unfairly. Will this make reviewers more careful to be as fair and accurate as possible? Will it make them more restrained, their tone more civil? I must admit to mixed feelings about this. On one level, it could help to hold reviewers to account. But on the other hand, it is part of the academic experience to learn to cope with reviews of your work with which you may disagree. I wonder if the ease of a blog-comment response will encourage too many authors to respond too quickly and too negatively to critiques of their work that may -- on reflection -- help them. Moreover, sometimes discretion is the better part of valour. If you have an unfair review, it's sometimes better not to respond. Knee-jerk responses all too often end up looking petty, pompous or self-indulgent. Walter Wink, 76, one of the most creative and influential scholars of our day, died peacefully at his home in Sandisfield in the Berkshire Mountains of Massachusetts on May 10, 2012. The website goes on with a fine tribute. Comments also on The Biblical World and The Quaternion and a tribute at The Holy Irritant. As further tributes appear, please let me know (in the comments below, if you like), and I'll update this post with them. Update: more tributes collected here on Anoigmatic. Several on twitter are reporting the death today of Walter Wink. I am sorry to hear about this. I haven't yet seen a confirmation of this; more in due course. Want to come to Duke? Here's a nice little youtube video of what west campus (where I work) looks like in the spring. I have been an admirer of the work of Anthony Le Donne for a few years now, and I have read with profit his Historiographical Jesus: Memory, Typology, and the Son of David (and what a fine use of the Oxford comma in that title!) and his recent, shorter Historical Jesus: What Can We Know and How Can We Know it?, which is a great way to spend a couple of hours stimulating your thinking. I was present at a great session at the SBL a couple of years ago that focused on Anthony's first book. And we were delighted to publish in the Library of New Testament Studies the book he co-edited with Tom Thatcher, The Fourth Gospel in First Century Media Culture. Anthony is an original thinker, a fine scholar and an obvious star of the future. I was really shocked, therefore, to hear that Lincoln Christian University recently terminated his employment, apparently because of some perceived problem with his recent book on the Historical Jesus. It makes no sense to me that an institution that uses the name of "university" would do something so stupid and so damaging to its reputation. Nothing good can come of this. I offered my sympathies to Anthony privately when I first heard about this several weeks ago, but now that it is public information, I wish to make a public statement of how disgusted I am by this folly. I mentioned to Anthony and to Chris Keith that in the light of this action, I would not be willing to participate in the planned conference on Jesus, Criteria and the Demise of Authenticity, scheduled for October, if it were to take place at Lincoln Christian University. I am pleased to hear that there are now plans to host the conference elsewhere, and I do hope that those plans will come to fruition. Many other bloggers have commented on the shameful affair. Jared Calaway is Appalled and Angry, Michael Bird writes about Evangelical Confessionalism and Academic Freedom, Brian LePort writes about Academic freedom, evangelical confessionalism, and the word “university”, James Crossley weighs in with Academic Freedom, Christian ‘Universities’ and ‘Secular’ Universities, James McGahey has a post on Another Unjust Firing: Reflections on Anthony LeDonne's Dismissal from Lincoln Christian University, Jim West speaks about When Ideology and Indoctrination are More Important Than Education: The Bizarre Firing of Anthony Le Donne, Christopher Skinner writes on The Curious Case of Anthony Le Donne and James McGrath asks if it is Time for the End of the Sectarian University? Larry Hurtado speaks more generally about this kind of affair in Academic Injustice and Shameful Cowardice, with a response by John Hobbins. Over on his new blog, my colleague down the road at UNC Chapel Hill, Bart Ehrman, has been offering a series of insights into The Work of the Professional Scholar. Only the first part is (Introduction) is publicly available but one can get a flavour of those behind the paywall from their titles, Supervising PhD Dissertations, Undergraduate Theses, Undergraduate Courses and Graduate Seminars. Now of course these are all important elements in the life of the professional scholar, but what Bart has not so far mentioned is that the vast majority of one's time is spent ploughing through the endless, endless stream of emails that pour in on a daily basis. For some scholars, the situation is so bad that they simply choose to ignore all email correspondence until the emailers in question become as persistent as the importunate widow. One scholar confided in me that they only way that he was able to get any research done was to ignore everything until people started shouting at him. I suspect that many other academics are the same. As the editor of a book series, I will confide here that many academics routinely ignore emails requesting assistance. Ask any publisher and you will hear the same story. When my kids were little, I remember someone asking one of them what their dad did for a living and she said "He does something on the computer". It wasn't "teaching" or "reading books" or "talking to students". She'd seen me endlessly attempting to dig down through that email mountain. After Jesus is threatened to be thrown from a cliff by an angry crowd, Luke 4:30 says that He “passed through the middle of them and went on his way.” What happens to elicit his escape? Why are readers not given all the details of this important story? What should we be listening for in this seemingly intentional silence? 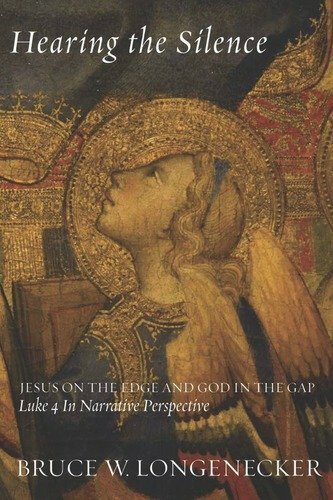 In this refreshingly unique book, New Testament scholar Bruce Longenecker demonstrates that reading Luke’s narrative is richly enhanced through attentiveness to that which is tantalizingly left out. Hearing the Silence invites the reader to delve deeply into the literary and theological dimensions of the Lukan narrative through an exploration of Jesus’ strangely under-narrated “escape” in Luke 4:30. Through a unique survey of this scene in Jesus novels and films, Longenecker brings into dramatic relief the options for interpreting this curious event, including a variety of strategies that have been employed to iron the scene’s narrative oddity. Against their backdrop, Longenecker’s own constructive proposals bring the reader into direct contact with some of the most significant features of the Lukan Gospel and worldview . . . . It looks like New Testament scholars will be eating humble pie for some years to come. Not only does it hint at a romantic relationship between Jesus and Mary Magdalene, but also it suggests that the author of the first Gospel was personally known to Jesus and, moreover, that he was not the tax-collector by the same name but a "school buddy" from Nazareth. Still more intriguing is the mention of Luke in the document. Does this mean that the author of the third Gospel was engaging in subterfuge when he suggested that he was not one of the eye-witnesses (Luke 1.1-4)? Perhaps this will turn out to be a previously unsuspected case of protective anonymity. Although I am going to have to reassess some of my own work on the Gospels in the light of the new discovery, one element confirms something that I have been saying for a while, that we need to take seriously the Missing Pieces in Historical Jesus research. The mention of Vinnie, the village beggar, and Janet, the masseuse, illustrates that there are indeed figures involved in Jesus' life about whom we know nothing. On the other hand, perhaps I could just join the "few naysayers" already mentioned in the article. I'm sure if I look hard enough, and sit around at the computer blogging all day, I might be able to find something to nit-pic about. Also noted by Jim West and Antonio Lombatti, who will also, no doubt, be among the nay-sayers. It's actually a superb creative harmonization of several Synoptic and Johannine texts, largely from the KJV. I am really tempted to set this video as a challenge in my NT Intro next semester to see how many of the texts they can recognize. I especially love the play on "sick of the palsy" which always sounds so strange to modern ears. An international conference on the study of Ephesus and its connection to the New Testament will be held at HST as a tribute to the 65th birthday of professor Richard E. Oster. The May 18-19, 2012, conference is slated to acknowledge Oster’s work on ancient Ephesus as a religious center and site of early Christian activity. More here, and official website here. HT: a comment from Jeremy. Thanks, Helen, for making your work widely available in this way! Also mentioned already on Paleojudaica, Exploring our Matrix and elsewhere. Sub•verto –– to overturn, cause to topple over, by pressure from below or at the base (s.v. Oxford Latin Dictionary). This blog is based upon research and ideas for a manuscript I have sent off to a publisher. It looks at Revelation 1-3. • Written by an author relocated because of subversion. • Sent to 7 congregations needing to resist the cultural regime of Roman Asia. • Designed to sabotage the recipients' easy reliance upon the values of the culture and its religions. The journal is hosted by McMaster Divinity College and works in conjunction with its Centre for Biblical Linguistics, Translation and Exegesis, and the OpenText.org organization (www.opentext.org) in the hosting of conferences and symposia open to scholars and students working in Greek linguistics who are interested in contributing to advancing the discussion and methods of the field of research. BAGL is a refereed on-line and print journal dedicated to distributing the results of significant research in the area of linguistic theory and application to biblical and ancient Greek, and is open to all scholars, not just those connected to the Centre and the OpenText.org project. Don't miss the seriously weird illustration of something that is not Jonah coming out of the fish's head.